Most people think diabetes is a blood sugar issue. This is true, however, it affects more areas of your body beyond your blood. Neuropathy occurs in about 70% of people who have diabetes, causing serious nerve and blood vessel damage. This can lead to losing the feeling in your feet or hands, and even infection. Here are some tips for making sure you are providing yourself with the best possible foot health. Nerve damage is a common complication of diabetes that makes it hard to realize when you have sores or cracks in your feet. Make sure to look for any changes in color, sores, or dry, cracked skin. If it is hard to reach all the way down you can place a mirror on the floor to check under your feet or ask a friend for help if you can’t see all parts of your feet clearly. By doing this every day, you can be sure that more serious problems won’t sneak up on you. That being said, make sure you tend to calluses, bunions, and other foot irritations promptly. Pressure sores and uneven rubbing caused by these can lead to infection. Yes, even those seemingly harmless calluses may become problems if you ignore them. Before you head to the pharmacy for an over-the-counter product, visit a podiatrist, who specializes in foot care. This is because some products sold are not designed for people with diabetes, and may end up irritating your skin and increasing the risk of infection while they treat the corn, callus, or bunion on your foot. Wearing shoes with good coverage outside to protect your feet from makes sense. But did you know it is better to continue protecting your feet when you’re inside? By walking around at home barefoot you put your feet at risk for small cuts, scrapes, and penetration by splinters, glass shards, or the random sewing needle. If you have neuropathy, you may not notice anything has happened until a deep infection has set in. House shoes will help you evade all of these problems. Shoe shopping when you have diabetes requires a bit more attention to detail than you may normally use on your shopping trips. 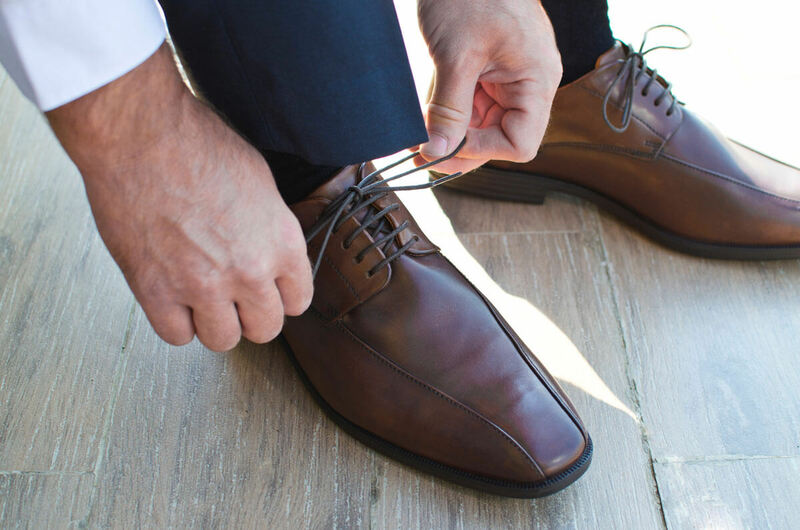 To find the best fit for maximum comfort look for shoes that have more depth in the toe box, good coverage on both top and bottom, and no seams inside the shoe that can rub on your foot and irritate it. On that note, also find socks without seams, preferably socks that are padded and control moisture. Cotton always works great for this. The dangers of smoking range from head to toe. Nicotine in a cigarette has been shown to decrease the circulation in the skin by 70 percent. This means that if you smoke and have diabetes you are depriving your feet of the nutrient and oxygen rich blood that will keep them healthy and fights infection. Even if you have been smoking for years, the benefits of stopping are still there. It’s never too late to stop smoking. Your circulatory system will thank you! Doctors say there is a direct relationship between blood sugar level and damage to the nerve cells. Blood sugar that is out of control leads to neuropathy, which makes it hard to know when your feet are at risk or being damaged. The better you control your blood sugar, the healthier your feet will be in the long term. Note that if you have an infection, having high blood sugar will make it much harder for your body to fight it. The key to correctly nourishing your body and not hating every second is to educate yourself on the foods that you can eat, foods that will aid your body in keeping healthy, and then find recipes that make these foods feel indulgent. Enjoy the food that gives you life! Exercise has many benefits that include aiding in circulation, however, those with diabetes should take extra care when choosing their activity. Numerous fitness classes and aerobics programs include bouncing, jumping, and leaping, which may not be the best activities for your feet, especially if you have neuropathy. Instead, look into programs that don’t put too much pressure on your feet. Walking, strength training, flexibility/stretching, and balance exercises are excellent options. Always make sure you have the right shoe for whatever activity you choose. Your doctor is your teammate on this journey, and also a great source of information. If you are in need of ideas for taking care of your feet, quitting smoking, or staying on top of your important numbers like your weight, blood sugar, and other measures of health, like your blood pressure, that’s the best route to take. Of course, if you notice any changes in your feet that concern you, don’t wait for your next regularly scheduled check-up to see your doctor.